Senescence: the condition or process of deterioration with age. One-of-a-kind artist book. 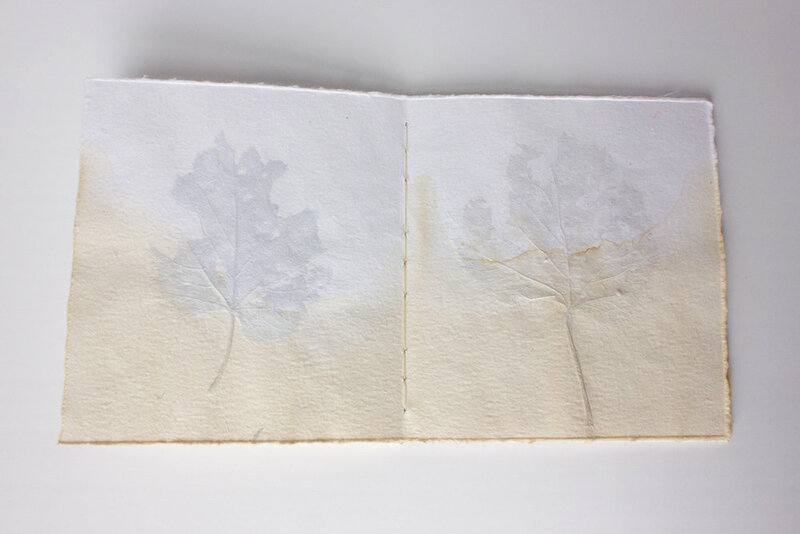 Handmade paper with embedded Tilia leaves, tea-dyed. Coptic bound. Measures 6 x 5.5 inches closed. 2013.